What is a “Migratory Game Bird”? Crows are not considered migratory game birds under federal regulations, but most of New York’s migratory game bird hunting regulations apply to crows. You should assume they are the same except where differences are noted. Mourning doves are considered migratory game birds under federal regulations, but they are not defined as such under New York State law so no hunting season has been established for this species. To hunt any migratory game birds in New York, you need a hunting license unless you qualify to hunt without a license. To hunt any migratory game bird in New York except crows, you must register in New York’s Harvest Information Program (HIP). This applies to all hunters, including junior hunters and people who qualify to hunt without a license. To register, go to: www.NY-HIP.com or call 1-888-427-5447. HIP registration is valid from July 1 through June 30 annually (not the same as your hunting license!). If you are 16 years or older and you hunt waterfowl, then you also need a federal migratory game bird hunting stamp (“duck stamp”). The stamp is not needed to hunt coot, rails, gallinules, woodcock, snipe or crows. You may buy a duck stamp at most post offices and many sporting goods stores. They may also be ordered on-line (www.duckstamp.com) or by phone (1-800-852-4897). The stamp must be signed in ink across the face to be valid for hunting. The New York State Department of Health recommends that you remove the skin and fat of wild waterfowl before cooking, and eat no more than two meals containing waterfowl per month (with the exception of mergansers). Mergansers are fishing-eating birds that tend to be the most heavily contaminated waterfowl and should not be eaten. Recent data indicate that waterfowl residing in the Hudson River between Hudson Falls and Troy have higher PCB levels than waterfowl from other portions of the Hudson River and are likely to have higher PCB levels than waterfowl from other areas of the state. Because PCBs may have a greater effect on young children or an unborn child, it is particiularly important for women under 50 and children under 15 to minimize their PCB exposure. For more information visit: https://www.health.ny.gov. Some excellent waterfowl hunting opportunities occur in shoreline areas of New York that are becoming more populated and developed. Waterfowl hunters have special privileges in New York, but please consider the possible concerns that nearby homeowners may have about noise, safety or invasion of privacy before you go afield. Avoiding such conflicts will help ensure that waterfowl hunting remains an accepted tradition in fast-developing shoreline areas. For more information, go to: www.dec.ny.gov/outdoor/94213.html. DEC, in cooperation with the South Shore Waterfowlers Association (SSWA), has produced A Pocket Reference for Police Officers and Waterfowl Hunters that summarizes the state laws that pertain to waterfowl hunting in general and includes a “code of ethics” for waterfowl hunters to help ensure that waterfowl hunting remains a viable recreational opportunity in New York. For a copy, call (518) 402-8883 or email wildlife@dec.ny.gov. Waterfowl hunters in New York will have a special opportunity to harvest snow geese in most areas of the state from January 16 through April 15, 2019. This additional opportunity is offered because of concerns about impacts that snow geese are having on natural ecosystems. For more information, including harvest regulations for 2018–19, go to: www.dec.ny.gov/outdoor/50514.html. Following is a summary of state and federal rules that apply to the taking, possession, shipping, transporting and storing of all migratory game birds in New York. For more complete information, consult the specific federal (50 CFR Part 20) and state (6 NYCRR Part 2.30) regulations. You can link to both of these from: www.dec.ny.gov/outdoor/28175.html. Migratory game birds are wild ducks, geese, brant, coot, rails, gallinules, woodcock and snipe. Migratory waterfowl are wild ducks, geese, brant and coot. All migratory game bird hunters must carry a valid New York State hunting license, except for persons not required to have a hunting license. All migratory game bird hunters in New York must also register annually with New York’s Harvest Information Program (HIP) and carry proof of compliance whenever going afield. To register, call toll-free 1-888-4ASKHIP (1-888-427-5447) or visit the website: www.dec.ny.gov/permits/6405.html. You will be given a confirmation number that you can record on the back of your hunting license as proof of participation in HIP. HIP registration is valid from July 1–June 30 annually. Each waterfowl hunter 16 years of age or older must carry on his/her person a valid Federal Migratory Bird Hunting and Conservation Stamp (“duck stamp”) signed in ink across the face. Stamps do not have to be attached to your license. Duck stamps are not required to hunt coot, rails, gallinules, woodcock or snipe. Duck stamps are not required of minors 12 to 15 years of age hunting migratory waterfowl in New York State. Federal duck stamps are sold at most post offices and many sporting goods stores and cost $25.00 each. 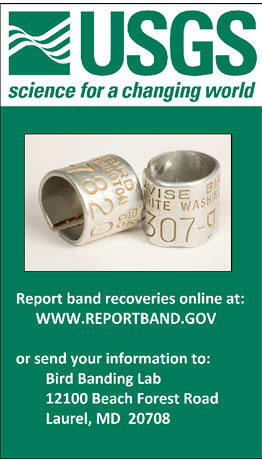 They may also be ordered by calling 1-800-852-4897 or visiting the website www.duckstamp.com. There is a shipping and handling fee for phone or Internet orders. Woodcock may be taken from sunrise to sunset. All other migratory game birds may be taken from one-half hour before sunrise until sunset in all hunting zones. Canada geese may be taken until one-half hour after sunset during the September seasons, except on Youth Waterfowl Hunt Days, when hunting hours end at sunset. Snow geese may be taken until one-half hour after sunset during January 15–April 15 whenever all other waterfowl hunting seasons are closed. Non-toxic shot is required for hunting any migratory game bird, except woodcock, everywhere in New York State. Possession or use of shells loaded with shot other than steel, bismuth-tin, iron-tungsten, iron-tungsten-nickel, tungsten-bronze, tungsten-iron-copper-nickel, tungsten-matrix, tungsten-polymer, tungsten-tin-iron, tungsten-tin-bismuth, tungsten-tin-iron-nickel or other shot approved by the U.S. Fish and Wildlife Service is strictly prohibited when hunting waterfowl, snipe, rails or gallinules. NYS Navigation Law Section 33-b requires that duck blinds placed in the waters of lakes within New York State be prominently marked with the owner’s full name and address. All duck blinds placed in lakes must be removed no later than March 15 annually. With a trap, snare, net, rifle, pistol, crossbow, swivel gun, shotgun larger that 10-gauge, punt gun, battery gun, machine gun, fishhook, poison, drug, explosive or stupefying substance. With a shotgun capable of holding more than three shells, unless it is plugged with a one-piece filler that is incapable of removal without disassembling the gun. This does not apply to the taking of snow geese in any area or zone, or taking of Canada geese during September, when all other waterfowl seasons are closed. From a sink box (a low-floating device, having a depression affording the hunter a means of concealment beneath the surface of the water). From or with the aid or use of a car or other motor-driven land conveyance, or any aircraft, except that paraplegics and single or double amputees of the legs may, with a permit issued by the Department of Environmental Conservation, take from any stationary motor vehicle or stationary motor-driven land conveyance. “Paraplegic” means an individual afflicted with paralysis of the lower half of the body with involvement of both legs, usually due to disease or injury to the spinal cord. From or by means of any motorboat or sailboat unless the motor has been completely shut off and/or sail furled, and its progress therefrom has ceased. Motorboats and sailboats under power may be used to retrieve dead or crippled birds; however, crippled birds may not be shot from such craft under power except in the Special Sea Duck Area described in the Hunting Seasons Table. By the use or aid of live decoys. All live, tame or captive ducks and geese shall be removed for a period of 10 consecutive days prior to hunting and confined within an enclosure which substantially reduces the audibility of their calls and totally conceals such tame birds from the sight of migratory waterfowl. Using recorded migratory bird calls or sounds or electrically amplified imitations of bird calls. This does not apply to the taking of snow geese in any area or zone, or taking of Canada geese in September, when all other waterfowl seasons are closed. By driving, rallying or chasing birds with any motorized conveyance or any sailboat to put them in the range of hunters. By the aid of baiting (placing feed such as corn, wheat, salt or other feed to constitute a lure or enticement) or on or over any baited area. Hunters should be aware that a baited area is considered to be baited for 10 days after the removal of the bait, and it is not necessary for the hunter to know an area is baited to be in violation. Migratory game birds may be taken on or over standing crops, flooded harvested crop lands, grain crops properly shocked on the field where grown or grains found scattered solely as a result of the normal agricultural planting or harvesting. No person shall kill or cripple any migratory game bird without making a reasonable effort to retrieve the bird and retain it in his/her actual custody. Wounded birds reduced to possession shall be killed immediately and included in the daily bag limit. No person shall completely field dress any migratory game bird and then transport the bird from the field. The head or one fully feathered wing must remain attached to all such birds while being transported. The possession limit is the maximum number of migratory game birds that any person may possess in total in his/her automobile or principal means of land transportation, personal abode, or in his/her name at any migratory bird preservation facility, post office or common-carrier facility. The possession limit is three times the daily bag limit for all waterfowl species except snow geese. For more information on regulations pertaining to possession, tagging, shipment and importation of legally killed migratory game birds, consult the specific federal and state regulations cited above. More restrictive regulations may apply to national wildlife refuges and state wildlife management areas (WMAs) open to public hunting. Violation of New York State migratory bird hunting regulations is also a violation of federal regulations. Clean all visible plant and animal material from your boat, trailer and associated equipment. Drain your boat’s bilge, livewell, baitwell, and other water-holding compartments.